A Walt Disney (DIS), 21stCentury Fox (FOX) deal headlined a busy news morning Thursday, as stocks posted solid early gains with the aid of some positive November retail sales and jobs data. 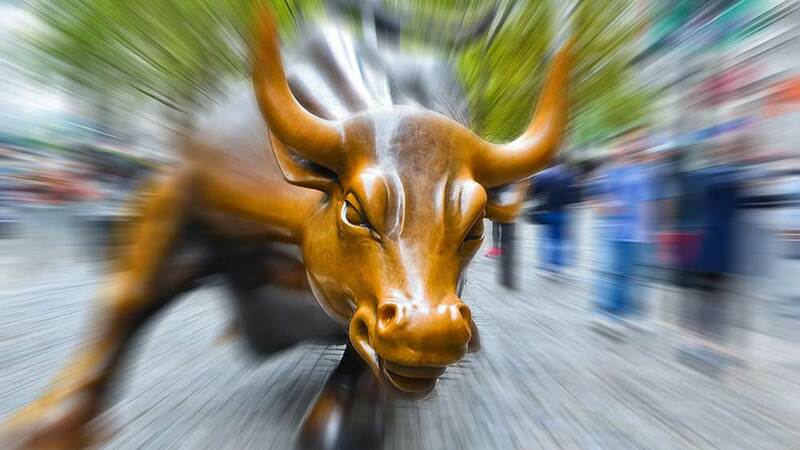 X The Dow Jones industrial average climbed 0.3% at the starting bell, with BoeingBA, UnitedHealth GroupUNH and Goldman SachsGS staking out early leads. 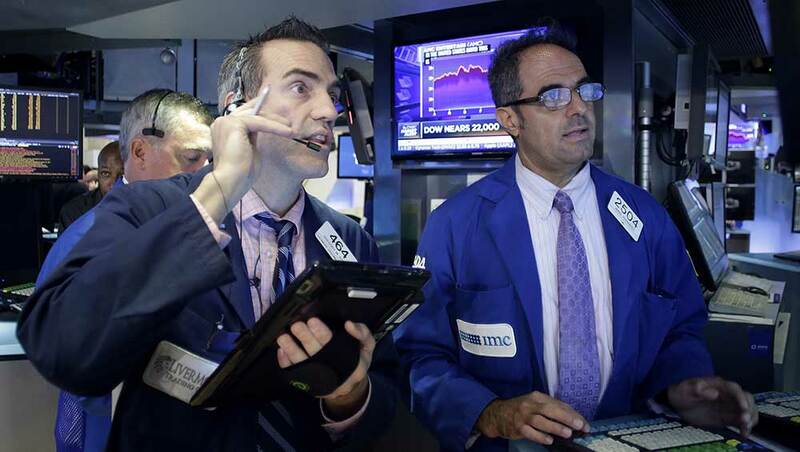 The Nasdaq Composite and S&P 500 each opened 0.2% higher. MattelMAT surged almost 4% to top the Nasdaq 100. A tightly mixed session on Wednesday left the Dow at a new high and the Nasdaq and S&P 500 each just a fraction below new high ground. Goldman Sachs gained 0.5% at the open, taking back a piece of Wednesday’s 0.8% dip and leaning toward a third straight weekly advance. The investment banker is nearing the top of a buy range above a 247.17 buy point in a cup-with-handle base. Internet and media names were front-and-center early Thursday, with Disney shares up 1.6% after the company agreed to buy a large portion of 21st Century Fox for $52.4 billion, plus debt, bringing the deal to $66.1 billion. The assets included Fox’s movie and TV studio, cable channels and other properties, and brings Disney’s stake in the streaming service Hulu to 60%. Disney is also set to release its “Star Wars: The Last Jedi” in theaters Friday. Fox traded fractionally higher, still in a buy range above a 31.02 cup-with-handle buy point. Disney shares are just below a 112.77 buy point in a cup-with-handle base. Internet-related names were under some early pressure, with the Federal Communications Commission expected to strip net neutrality protections on Thursday, a move altering the way internet traffic is managed and priced. Among the broad range of internet providers potentially affected, Comcast (CMCSA) dipped 0.3% and Verizon (VZ) dropped 0.8%. Internet-dependent players such as Netflix (NFLX) and Amazon.com (AMZN) were narrowly mixed in early action. Industrial coatings and sealants leader Nordson (NDSO) spiked 12% in opening trade, after reporting stronger-than-expected fiscal fourth-quarter results and guiding first-quarter earnings and revenue above analyst targets. The gain tripped a breakout past a 127.71 buy point in a cup-with-handle base. Israel’s Teva Pharmaceuticals (TEVA) spiked 14%, after the company announced a restructuring plan that included the layoffs of 25% of its workforce, an estimated 14,000 workers, and aims to reduce the generic drug makers annual cost base by $3 billion by the end of 2019. Teva shares ended Wednesday up 45% from a November low, and down 78% from its July 2015 peak. Europe’s markets deepened their early losses in afternoon trade, after both the European Central Bank and the Bank of England left their interest rate targets unchanged and warned of slower growth in the fourth quarter, and despite a report showing eurozone manufacturing hitting a 7-year high in November. The ECB also said it was set to increase its asset-purchasing stance if necessary, quashing speculation that the bank was on the verge of tapering down its long-term bond buying stimulus efforts. U.S. retail sales jumped 0.8% in November, more than double the 0.3% gain expected by economists, the Commerce Department estimated, while revising October’s sales increase upward to 0.5%, from 0.2%. First-time unemployment claims fell nearly 5%, to 225,000, in the week ended Dec. 9, the Labor Department said. Consensus views called for an increase to 239,000 claims. The Big Picture: Are The Leading Growth Stocks Acting Well?